Dr. Daras accepts the following list of insurance providers. Select your insurance provider to see more details. I am a neuro-oncologist who specializes in the care of patients with brain tumors and the neurologic complications of cancer. 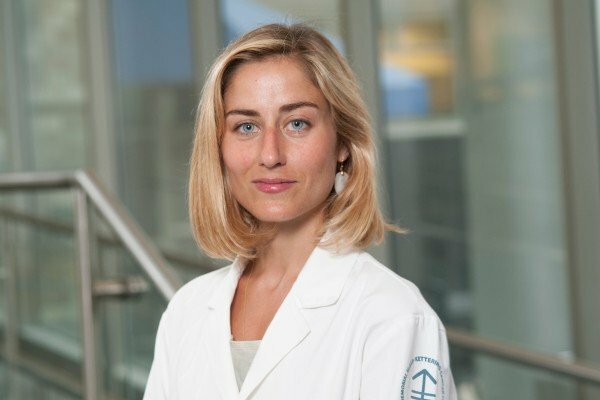 I work alongside a multidisciplinary team of neurosurgeons, radiation oncologists, nurses, and research staff to achieve the highest quality of care in the treatment of primary brain tumors (including gliomas, glioblastomas, ependymomas, and meningiomas) and primary central nervous system lymphoma, as well as brain metastases. With the support of my colleagues at Memorial Sloan Kettering’s Brain Tumor Center, I am also involved in several clinical trials in an effort to develop novel approaches to treating patients with newly diagnosed and recurrent brain tumors. Visit PubMed for a full listing of Dr. Daras’s journal articles. Pubmed is an online index of research papers and other articles from the US National Library of Medicine and the National Institutes of Health.